Throughout our time in El Salvador, we partnered with an organization called Project RED. The aim of Project RED is to aid the families in El Salvador whose children were once living in orphanages, but have been sent back home. You see, El Salvador has enacted a law stating that all children currently residing in orphanages must be sent back to live with their original families, be it biological parents or extended family members. In most (although not all) cases, the parents of these children couldn’t take care of them, thus sending them to an orphanage in hopes of the orphanage providing them with a better future. However, despite the circumstances in the home, children are being placed back into their families. The government sugar coats the situation by posing questions such as, “What child wouldn’t want to be back with their families, and what parent wouldn’t want to hold their child again?” or “Wouldn’t it be great if everyone could just be together and happy?” Some families would have overwhelmingly positive answers to those questions, however that is not the case in many situations. The law seems to be doing more harm than good, to both parents and children. Parents are struggling once again to provide necessities for their families. That’s why Project RED exists. Project RED finds families whose children have been sent back home and who need a little help getting back on their feet. They take families in and, over a span of about two years, walk them through a restoration process. They aid in Reintegration, which helps smooth out the bumps in, what can be, a rough transition. Depending on the living situations of the families, Project RED will build homes, bathrooms, or kitchens for the families. There were many days where our sole job was to paint the newly constructed homes so that the families could move in and begin their new, hope-filled lives. It’s incredible how a solid roof over a head can completely alter the course of a family’s life. Project RED also holds the Education of the children at a precedence, which means sending as many children to school as they can. Whether it be providing the children with bus fare to get to school or giving them uniforms to wear, Project RED does what it can to send every child in their program to school. Education is always important in the life of a child, but in many areas of El Salvador, gangs are active and on the prowl for new members. Keeping children in school can keep them off the street and give them the hope of a brighter future. Lastly, Project RED aids in the Development of the families. The development phase can range from providing families with toiletries (and also teaching them how to use said toiletries) to giving them a monthly supply of food to aid in the nourishment of the family. When we let Him into the deepest, darkest corners of our heart, He pulls us out of the dark, scary, lonely pit and crowns us with his unconditional, undeserved love and freely gives us His grace and mercy. As we served this week, I saw families who were once in that pit; who were once so lost and desperate for something.. anything.. that they didn’t see a way out. But the Lord reached down into that dirty pit and pulled them out. He brushed them off. He sent Project RED to help restore. And He is now giving them a hope that they never thought they could have. Their futures no longer seem dark and questionable. No! Instead, they can see a light at the end of the tunnel. They have purpose. Most importantly, they walk with confidence in knowing that their Creator, their Lover, their Redeemer has taken them out of the pit and has set them on a road that leads straight to Him. This past week has been such a beautiful reminder of what the Lord has done for me. I was once in that pit, rolling around in sin, shame, self pity, and regret. But He ever so gently lifted me out of that darkness, wiped me clean, forgave me, and set me free to live a life that reflects Him. It fills me with joy to think that the Creator of the universe values me enough to redeem me from my sin and give me a clean start. Just like the families involved in Project RED, He has given me hope for my future through His redemption, love, and grace. Hallelujah! It’s hard for me to believe that the trip is coming to a close. I’m sad to part with the incredible people that have become like family throughout our travels. However, as I look back on all the memories made and the experiences shared, I am overwhelmed by how blessed I’ve been this summer. The Lord has taught me so much about many, many things and I’ve met quite a few amazing people. It truly has been a trip of a lifetime! So as you’re reading this, join me in praying for every member of my team. Pray that we will not cease to serve as we return to our lives in America. Pray that we will apply everything we’ve learned this summer. Pray for their joy and laughter to never cease and for their faith in the Lord to grow evermore strong. Lastly, pray for them to continue to love Him and love His people well. I know they can, and I don’t doubt they will! I’ve been breath-taken by God’s creation before. It happens every time I’m at the lake, when I look out at the water or watch the sun set over the mountains. I love the colors of the beautiful flowers that are usually planted by my mother in the spring. I’m not ashamed to admit that some of my favorite shows to watch are the ocean episodes of Planet Earth. I love looking at God’s creation and marveling over His colorful creativity and His attention to detail. I thought I knew the limits of His creativity… until I reached Slovenia. The mountains here are bigger and more beautiful than I could have ever imagined. 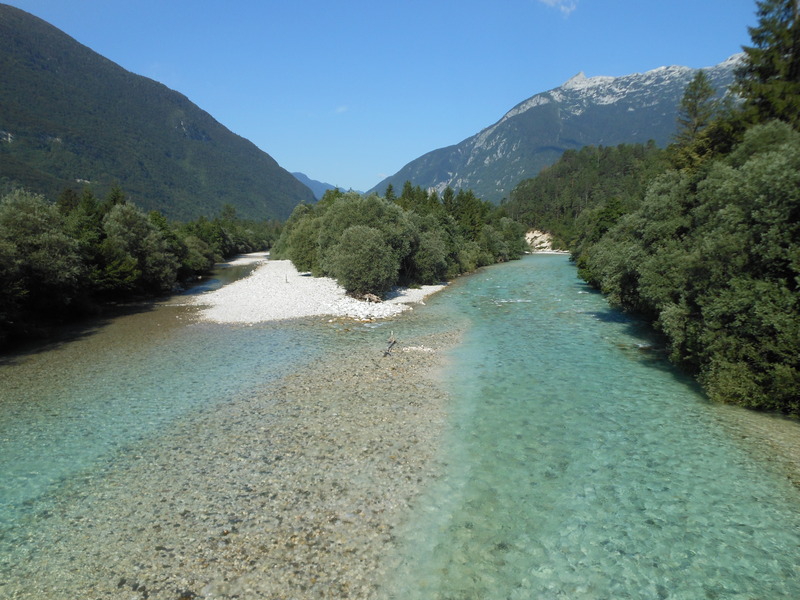 As we were traveling to one of the towns, we passed over a river that has crystal clear, bright turquoise water. Every single house has a gorgeous flower box under every window and their gardens are breathtaking. As I walk the streets and pass out devotional booklets, I’m reminded of Psalm 19:1, “The heavens declare the glory of God, and the sky above proclaims His handiwork.” I can’t help but worship Him when I’m surrounded by his breathtaking handiwork! It’s so clear to me that the Lord is here in Slovenia, however the eyes of the people that live here have been closed; their hearts have been hardened. Before we came to Slovenia, our leaders told us that the Slovenes are a very closed off society and do not open up easily to people. There is a church in every single town, no matter how small, but they are vacant. They almost appear to have been abandoned. What was once a reformed, Christian society has now become empty, dark, and lost. Many of the missionaries that live here have been here for years and have not seen much growth or progress. However, they do not give up. They do not raise their hands and surrender the fight the Lord has laid before them. 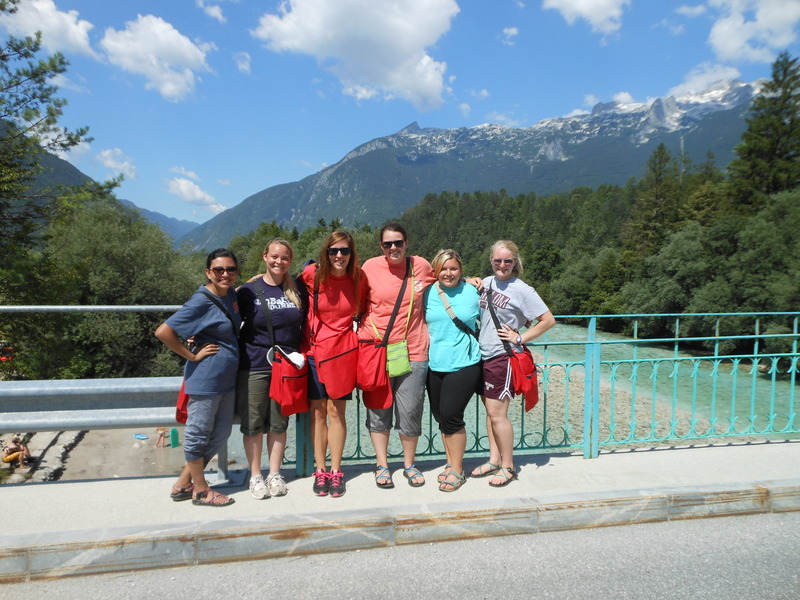 They are passionate about the Slovenia and want to see the people within its borders come to know the Lord. Their patience has been inspiring to watch. They are patient with a group of people with whom it could become so easy to grow frustrated. During my quiet time one day, I was reading through Romans 8 and verse 25 came to life in a way it never had before. It says, “But if we hope for what we do not see, we wait for it with patience.” The missionaries here do not see many people coming to know the Lord, but they are oh so hopeful and they wait for it with a patience that is worth envying. They are consistent in their ministry and they believe without a shadow of a doubt that the Lord will come to life here in Slovenia. With God on their side, what do they have to fear? They go forth with boldness and share the gospel and the love of the Lord with confidence. The ministry in Slovenia has taken a toll on the team, but in our weakness the Lord proves his strength! Continue to pray for the safety of the team as we travel to our last country (that in and of itself is hard to believe). Pray for energy and endurance to finish strong! 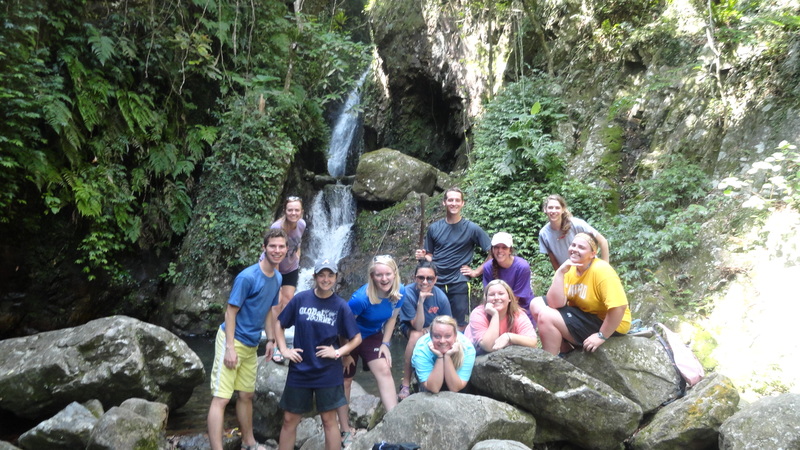 I am looking forward to El Salvador and I’m excited to see what the Lord has planned! 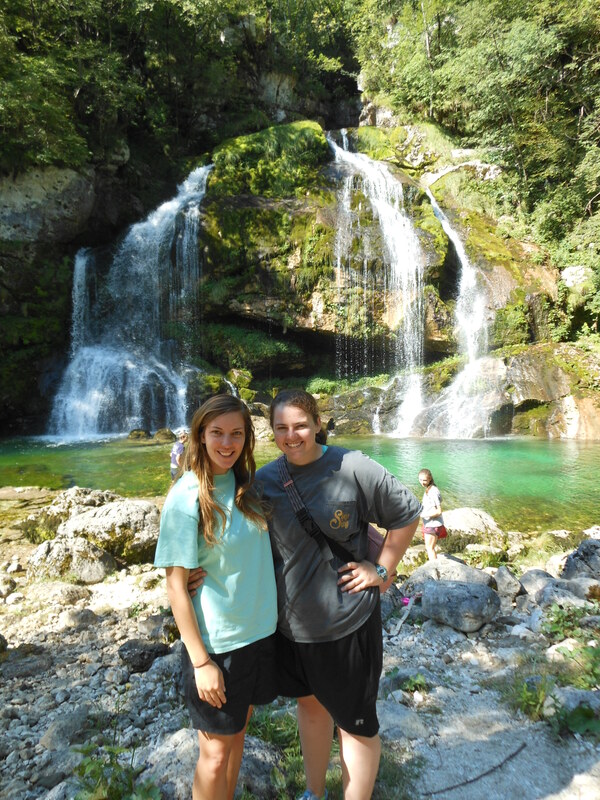 Shelbs and I at the waterfall! 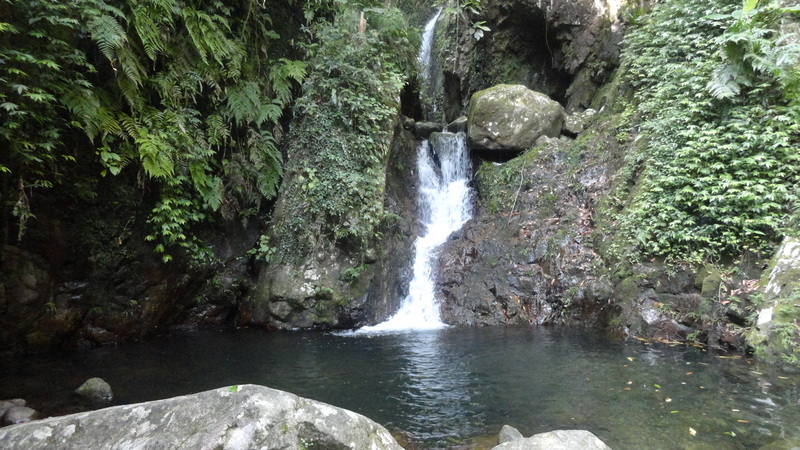 The water that took my breath away! The perfect little gift the Lord blessed me with while in Slovenia. At the end of every country, we get a debrief paper to help us digest and sort through everything we’ve learned and experienced in that country. There are questions, some are easy, some are challenging, that help us reflect on our time. For the past two countries, I’ve had a relatively easy time filling out the questions and discovering everything the Lord has taught me through the people and time in the countries. However, for Uganda, I had a particularly hard time with the debrief. It was unclear to me what lessons God was teaching me and I was having a difficult time pinpointing the characteristics of God that I was seeing. As I was working through the debreif, I reached the question, “What person has taught you the most in Uganda?” It was then that the clouds parted and I heard the Hallelujah chorus because I finally realized what the Lord was trying to teach me throughout my time in Uganda. I was surprised at how quickly the answer to that question came to mind, as I had struggled for what seemed like an infinite amount of minutes on the other questions. However, what didn’t surprise me was the person that God laid on my heart. 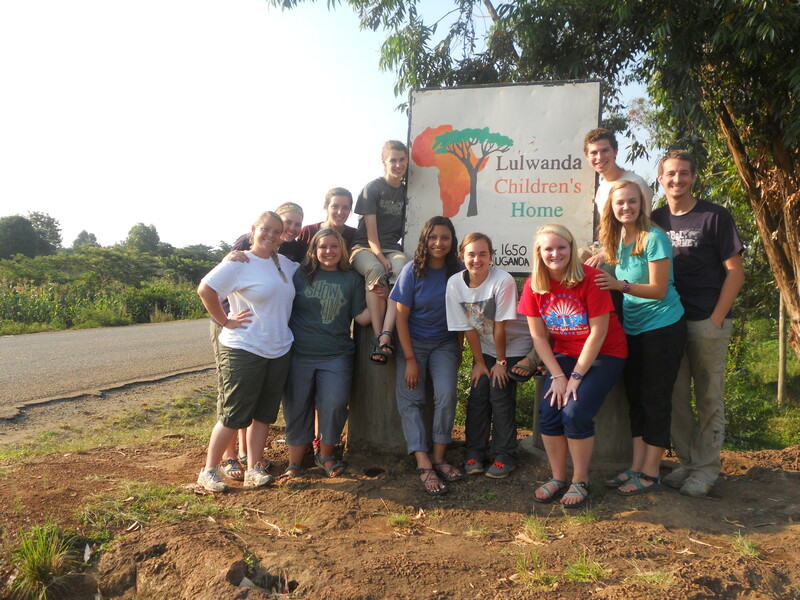 While we were Uganda, we were hosted by a beautiful missionary named Natalie. She so kindly opened up her house to us and even hired a cook to make us yummy, American dinners, which, let me tell you, was an incredible and much needed blessing. There was also the Palmer family, who were from Georgia so I loved them automatically. John and Bobbi had two children with them, Jackson (10) and Lilly (6). Lilly was the answer to the debrief question. Lilly is quite possibly the sweetest 6 year old I’ve ever met. She has the biggest, most adorable eyes and her little voice is just so cute. She taught me so much about Ugandan culture, such as how to speak with an accent to make it easier for the Ugandas to understand and also how to say yes to someone with just a slight eyebrow raise. I wasn’t very good at either of those, but she was patient and came to my rescure whenever I needed help. She was full of hugs, funny questions, and giggles, just as six year olds should be. However, what impressed me the most about Lilly was her genuine spirit. She didn’t help us paint buildings and containers because she thought she had to or because her parents told her to, she painted with us because she genuinely wanted to serve alongside us. She sincerely wanted to help, in any situation, no matter the task. There are not many 6 year olds – scratch that – there are not many adults I know that have such a genuine love for service and people as Lilly does. There were many times she would disappear and we would find her in the kitchen helping carry our food to the table or helping set the table for a meal. She was not told to do this, it was not a required chore. She chose to help. A 6 year old, on her own accord, chose to think of others instead of herself. She genuinely wanted to serve. She loves with abandon, just as Christ does. She reflects His genuine care for His people in a way that astounded me as I watched her throughout the week. Lilly, the adorable, little six year old, taught me, a 20 year old who thought she knew God’s genuineness, the most while we were in Uganda. My appreciation for fellowship and friendship also grew while we painted buildings, scraped letters from huge containers, sorted files, and hung mosqito nets for the kids. I think it’s about time I wrote something about my teammates. It’s hard for me to really put into words how much I love them. It’s crazy to me that I’ve only known these people for a little over a month, but I feel as if I’ve known them forever. I am so thankful for all of them. Everyone contributes different gifts and talents and the Lord conducts our actions in a way that works so well and reflects His character. And just when I thought I couldn’t love them anymore, the Lord proved me wrong. While we were painting the trim around the school one day, I stood up to go get more paint and I slammed my head on the corner of a window that had been opened (they were the kind that swing out). I immediately felt dizzy and saw stars. The dizziness lasted all day, along with on and off nausea. I felt better that night, but the next morning I hit my head in the exact same spot while getting out of the bus after arriving at the orphanage. The hit was immediately followed with a miserable, pounding headache and nausea, which only gew worse throughout the day. The previous day, I told myself I didn’t have a concussion, but that day I began to think otherwise. I had never had a concussion before, but my brother has had enough for the both of us (love you Bubby), so I knew the symptoms well enough to know that there was a possibility of a concussion. That night the nausea only grew worse, but thankfully a team member had some pretty strong nausea medicine that knocked me out and allowed me to sleep it off. I know, I know. You’re not supposed to sleep when you have a concussion, but I was desparate. The next morning the team was going on a hike that I so badly wanted to go on (I know you’re laughing mom, but I really did want to go), but I knew that if I didn’t rest, my head would only grow worse. One of the girls stayed behind with me, and I am so thankful for her for that. Praise the Lord for His comfort throughout those three days and His healing! Throughout that whole experience, I was so humbled by the concern of my team. They were always asking me how I was feeling or if I needed anything. If I did need something, they would immediately go to get it and would jump through hoops to do so. I didn’t deserve their kindness or service, but they lavished me with it. They loved me and served me when they could’ve so easily carried on with their own tasks or met their own needs. Even if it was just scratching my back or checking to see if I felt better, they were always there for me. I can’t really express how thankful I am for them. God really does put the right people in your life at the right time and I am always astounded by His provision. I’ve grown to know my teammates better as we’ve served at Lulwanda Children’s Home and I’ve also grown to love them more than I ever thought I could. If it had been my choice, I wouldn’t have chosen to learn this lesson through a concussion, but God had a different idea and I’m thankful for His careful planning. The Lord has shown me what a friendship centered around Him can look like and He has shown me so much of His character through those friendships. Praise the Lord for friendship and fellowship! Right now, I’m on the plane making my way to Venice! From Venice we’ll travel to Slovenia, where we’ll be for the next 10 days. Join me in praying for this next leg of our trip. 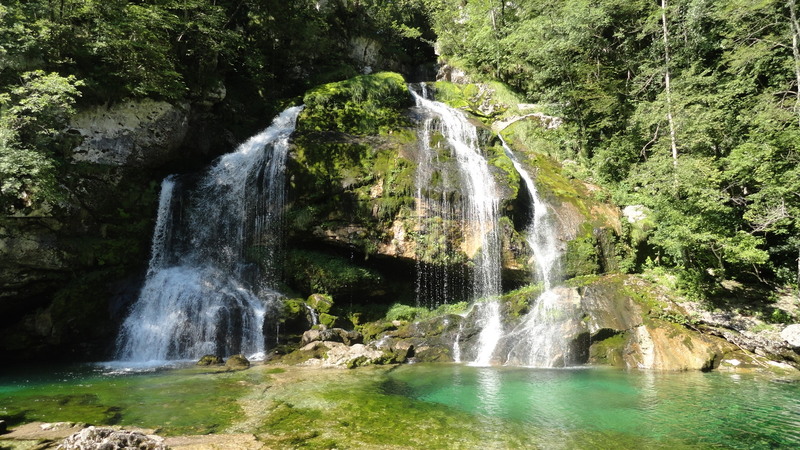 From what we’ve been told, Slovenia is spiritually dry and desparately needs the love of the Lord. Pray that our team will love and serve well. Pray that God will give us the words to speak as we ride our bikes to the different cities and towns to spread the good news. Pray that we will remain healthy, as we’ve struggled with sickness towards the end of our time in Uganda. But most importantly, pray for the people of Slovenia – that they will have open ears to hear, eyes to see, and hearts to believe. Pray for salvation for the Slovenes! One of the most humbling things to think about is the fact that God freely gives us so many things. He gives us love. He gives us grace. He gives us compassion. He gave us His son. But joy is often a gift of God that I forget about. It’s a fruit of the spirit that I find myself remembering to portray only when it’s convenient or when I feel up to it. It’s easy for me to get so consumed with the chaos of my life that I forget to be joyful. I forget where my joy comes from. God freely gives us joy. He is our joy. Our delight is in Him because He delights in us. The children at the orphanage in India embody joy in a way that I have never seen before. Their smiles are radiant. Their giggles are contagious. Their joy is addicting. From our very first day with the kids at the orphanage, we were bombarded with children so happy, that you couldn’t help but be happy, too. At times, I found my cheeks hurting from smiling so much. They would run up to you, smiling from ear to ear, and in their little Indian accent say, “Auntie! Auntie! Come!” Then they would grab your hand and off you would go – wherever they wanted to take you to spend time with you. 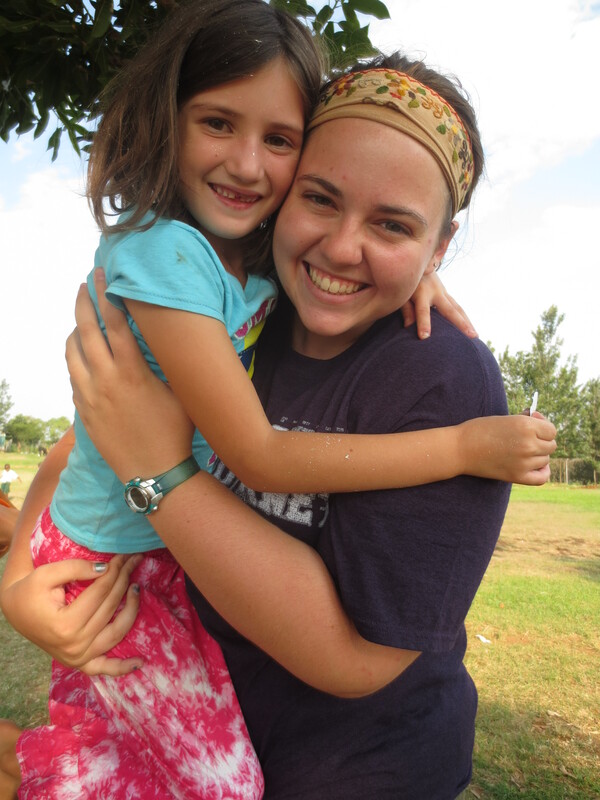 Whether it was singing songs, “American” dancing, braiding hair (we got some pretty sweet braids), or just sitting in the shade talking, the kids were genuinely happy just to be with you. Their eyes would light up at any little thing we would do, no matter how foolish we looked while doing it. I can’t tell you how many times I was asked to teach them an “American dance” and every single time the only dance that came to mind was the sprinkler. So that’s what I taught them. 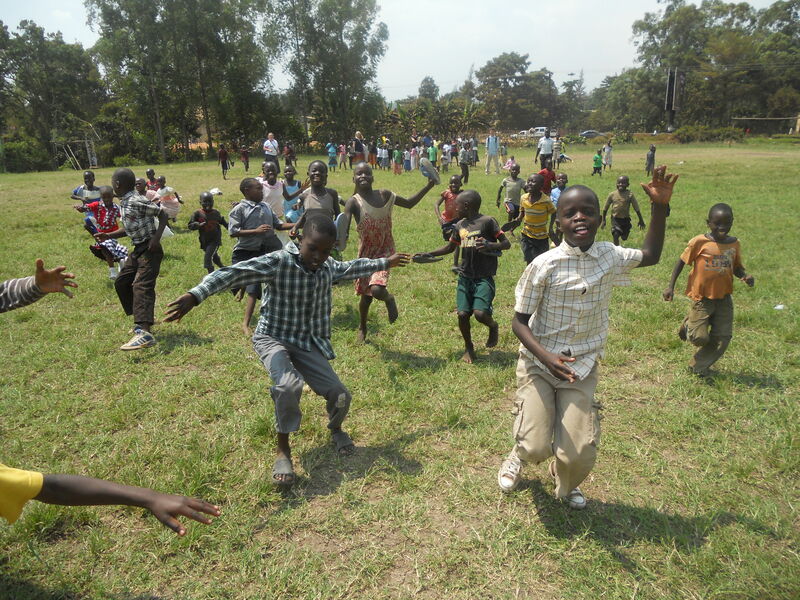 You can rest easy knowing that about half of the kids at Emmanuel Children’s Home are experts at doing the sprinkler. I know, mission accomplished. Those of you who know me well know that I am not a fan of heat, nor am I a fan of sweating. But looking completely ridiculous while doing the sprinkler in 100 degree heat was worth it to see the smiles on these kids’ faces. Their joy challenges me in ways I never thought it could. These children don’t have many material things where they find joy. They don’t have toys. They don’t have many clothes. They don’t have electronics or games. But they do have Jesus. They are joyful because they know Him. Even at such young ages, they understand that He is all they need to be happy and He is their only source of joy. I remember when I was a kid and my parents would ask me or remind me to do a chore. I hated having to stop what I was doing, be it playing outside or even doing homework, to clean my room or feed the dog. But this week I watched children happily perform chores. I witnessed children, ages 5 and 6, doing more complicated, strenuous chores that I struggle to do even today. And they did them willingly – never once did I hear a whine or complaint. Even chores were done with joy, just like everything else they did. They also serve with joy. I cannot count the number of times me and my team were blessed with the beautiful hearts of service of the children and the adults at the orphanage. Every time we would walk into one of the rooms in the girls’ dorm, they would immediately say, “Auntie, come sit.” We would go sit on the directed bed because, honestly, how can you say no to those sweet little faces? Many times children would be sitting in the place to which they directed us and they would move so we could sit down. They would notice the sweat running down our necks and our flush faces and fan us until their little arms couldn’t fan anymore. They would ask us if they could paint our nails and braid our hair and, of course, we said yes. When we would try to reciprocate this unexpected service, we were shot down faster than we scarfed down McDonald’s after a long week of meals with rice. They joyfully served us and expected nothing in return. Not only did they expect nothing from us, they genuinely did not want anything in return. This week I saw the clearest picture of what it means to serve as Christ did while He was here on earth. Christ served because He loved. He had no other motivation than His love for us. The children serve because they love and they love because they know and understand, even at such young ages, the unconditional, untainted, everlasting love of the Lord. Leaving the orphanage was one of the most painful things I’ve ever had to do. We cried and cried while saying goodbye to the kids, and they cried too (which honestly probably played a huge part in why I was crying). It’s funny because going into this leg of the trip I was certain that I had so much to teach these kids. We had skits prepared and songs to sing and Bible stories to teach. We were ready to show the love of Christ through our actions. And, although we did all of those things, we were the ones who were being taught. We learned more than we ever thought we would, and from children. The face of the Lord was seen so clearly this week. His goodness was overwhelming. It is my goal to truly embody the joy and servant’s heart of the beautiful children at Emmanuel Children’s Home. I will always treasure the lessons I’ve learned and I will forever hold the kids close to my heart. All creation sings His praise. The Bible. Oh how we so easily de-emphasize the value of this book. Do me a favor and think about your bible. How many do you have? Do you prefer one version over the other? Do you actually read it, or is it just listed as one of your favorite books on Facebook? Is it more of a decorative item for your living room coffee table? Do you even know where it is? Odds are many of us do have more than one Bible that we call our own. We have a favorite version, or we at least find one version easier to understand than another. Most of us probably have the Bible listed as one of our favorite books on Facebook. Our daily readings may be slowly evolving into weekly or monthly readings. Some of us may have even misplaced one of the many copies we have in our homes. As we have been carrying Bibles across the border into China, I have had a lot of time to really think about the Bible. During our training session here in Hong Kong, a lot of numbers were thrown at us. We were given statistics on the percentages of Christians in China, the number of Christians that have a Bible to read, the number of Bibles going into China, and the growing number of new Christians that have never and still do not have a Bible of their own. Let me just tell you, the number of Christians in China is growing at astounding rates, which means the deficit of Bibles is growing quickly as well. They cannot get Bibles in fast enough! Praise the Lord! However, as I rejoiced at this news, I was also deeply saddened for those that still do not have a Bible. I began to think about my own Bibles. I have four to myself, and I’m pretty positive that between the members of my family, we could probably gather over 50. Many Christians in China share one Bible between 50-100 people. They memorize it. They treasure it. They view it as precious and irreplaceable. As I reflected on all of this information, I began to pray that the Lord would change my attitude towards His word. I prayed that my eyes would see the Bible as the Chinese Christians see it: precious and sacred, that I wouldn’t take advantage of the fact that I can purchase a Bible at almost any store in the U.S., and that I would value His truth and hold it close to my heart. That’s my prayer. Our time here in Hong Kong has been incredible to say the least. Hong Kong, in one word, is different. It has skyscrapers and huge buildings like the kind you would see in New York or Atlanta, but it is surrounded by lush, rolling mountains and sits beautifully on a harbor. There are people (and shopping malls) everywhere you look. It’s more hot and humid than south Georgia on a rainy day in August, but our mission while we’re here makes it all worth it. Carrying Bibles across the border is scary and intimidating, but the Lord’s hand of protection is so evident as we walk across the border with a boldness that can only come from Him. As each person walks through successfully, the team rejoices and praises the Lord for His goodness and His favor. Although we are happy that team members have made it through safely, we are overjoyed that the Bibles in our suitcases will make it into the hands of a Christian, or maybe even an unbeliever, in China. Praise the Lord for His goodness and love for His people! It really is humbling to be a part of the amazing plan God has for China and I am so blessed to serve a God who cares for each and every person He creates. Prayer has been such a huge part of my personal experience in Hong Kong/China. There are many times that I so ignorantly forget how important prayer is. It is our way of communicating with the God who holds the universe in His hands, the God who created and loves every single person on earth, and the God who laid out our days before we were even born. He wants to talk with us. He wants to listen. As we walk across the border every day, we are constantly praying for our team members and ourselves to make it across without being stopped. If the Chinese officials stop us, they will more than likely take most of the Bibles out of our suitcases. So, while walking across, we are praying that the Lord will send His angels to guide us and protect us. There have been many times that a few of my team members have been walking through and the person right in front of them has gotten pulled aside, but they have been able to move on without any trouble. The Lord listened to our prayers and He is so faithful! In my time in Hong Kong, He has been so patient in teaching me how important prayer is. So as you go throughout your day today, join me in praying continuously for the people of China. Pray for those who will receive the Bibles that we are carrying across the border. Imagine their joy and thankfulness as they touch a Bible for the very first time in their lives! Pray that their passion to pursue the Lord will only grow as they read and spread His truth. Pray also that the hearts of the Chinese officials will be softened, so that they too will rejoice as they watch Bibles carried across the border. Pray passionately for those that have not yet heard the truth, and also for those that have heard, but do not listen. Pray that their ears will be opened to hear of the love and grace that the Father wants to freely give them. And lastly, pray for our team as we finish out our last two days here in Hong Kong; that the Lord will give us strength and boldness as we finish His work in this country. It’s here! IT’S HERE! It is hard for me to believe that in just 5 short days, I will begin the biggest adventure in my life thus far! That’s right, in five days I will be boarding a plane to San Antonio, Texas to embark on a journey that will take me to 5 different countries, where my team and I will serve the Lord and love on His people. I am beyond excited to see what the Lord has planned and I am even more excited to see how He will use us in order for His plan fulfilled. I am filled with so many emotions and my to-do list is 400 miles long, but I am so blessed to serve a God who comforts and calms me when my mind is running in different directions. Throughout the past couple of months I have been flooded with questions, concerns, shopping lists, encouragement, support, love, and, most importantly, prayers. I believe that a good part of the reason I have been able to make it through these hectic months of fundraising and finishing up my sophomore year at Samford is because of the countless number of prayers that have been poured over me. For that, I just want to say thank you and keep ’em comin’! Blessed is an understatement. In the midst of all the craziness, the Lord has constantly reminded me to take a break, even if just for a few minutes, to sit and savor His presence; to soak up His love, comfort, and peace in the midst of my chaos. Psalm 46:10 has become a daily reminder to be still and know that He is God. Ladies and gents, we serve a God who is sovereign, which despite what many of us would like to believe, means that HE is in control of our paths. HE knows what is best for us and, ultimately, it is HIS plan that will come to fruition. So take a break from stressing about money or schoolwork or relationships and remember that He is God. The Creator of the universe has us on His mind every day and holds us in his powerful, yet oh so gentle hands. For those of you who might be curious, I have raised 100% of the funds needed to go on the trip! Praise the Lord for his constant provision! THANK YOU to all who gave – I honestly would not have gotten this far without you! I am so blessed to be surrounded with such amazing family and friends whose love for the Lord is inspiring! I thank God for y’all every day. You support me while I’m in the states and I know you’ll support me while I’m gone! It’s going to be a fabulous two months, and I cannot wait to get started! When my RA got back into the states after going on Global Journey last summer, I received a Facebook message from her telling me that I just had to start praying about going on the trip the following summer. I had wanted so badly to go on the trip with her and I envied her courage, selflessness, and obedience. One of my prayers throughout the summer was just asking God to put me outside of my comfort zone. I had become entirely too comfortable where I was in life and that was incredibly unsettling to me. So, when I received that message from Hannah, I knew that the Lord was answering my prayer; He was giving a me a chance to go far outside of my comfort zone. I immediately began to pray about whether or not the trip was the thing that God had planned for me. Every quiet time I had, every church service I attended, and, surprisingly, every time I logged onto Facebook, I was constantly presented with the ideas of service, obedience, faithfulness, courage, strength, selflessness, and love. Through the funny ways in which the Lord was slowly but surely reaffirming His calling on my life, it was clear to me what He wanted me to do. I am so thankful for His constancy and patience! After many prayers and discussions with my family, I decided to go on the trip! I immediately started fundraising, as that was a huge concern of mine that I had to hand over to the Lord. Let me just tell you, I have been blown away at the ways in which God has provided the funds for me to be able to go on the trip. Talk about a humbling experience! Every time I get an email telling me that I have received another donation, my heart is filled with joy (and there may or may not be some tears in the mix, too). I am so incredibly thankful for those who have chosen to give money towards my trip. People whom I don’t even know have so selflessly donated and I am in awe of how the Lord is orchestrating the whole fundraising process. I just want to say THANK YOU, from the bottom of my heart, to those who have donated! How sweet is His provision! I am also very humbled to be showered consistently with so many thoughts and prayers! Prayer warriors are so very important and I just want those who are praying to know how special they are to me. God has blessed my life with the most amazing people whom I love and cherish. 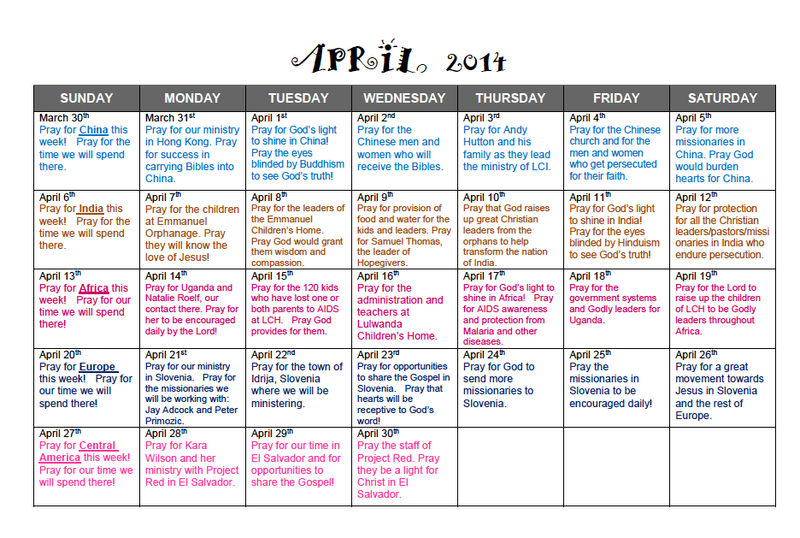 To my prayer warriors, we received an email the other day that contained a prayer schedule for the month of April. Every day has a different prayer and every week we are praying over a different country. Join me in praying over the countries and lives we will encounter on our journey! I get more and more excited every time I think about the trip. And I’ll admit, sometimes I find myself grinning from ear to ear as I think about the lives that will be changed, mine included. I have been praying over every country and I am ecstatic to have been given the opportunity to share the unconditional love of the Lord! I wholeheartedly believe that the Lord is going to do incredible, life-altering things while we are on the trip and I cannot wait to experience them firsthand! I pray that God will continue to work the hearts of myself and my team members as we prepare for the trip of a lifetime! Enter your email address to receive an email every time I update the blog with a new post about the incredible things the Lord is doing!